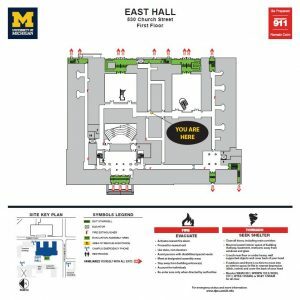 For the protection of all faculty, staff and students, it is important to understand what to do in the event of an emergency that requires evacuation. Most evacuations will take you outside and away from the building or structure that poses an actual or perceived safety threat. However, some evacuations may be to a safer location inside the same building. Call 911 (once you are safely outside). Move quickly and calmly to the nearest emergency exit. Close doors and leave them unlocked, if possible. Do not run, push or shove when descending the emergency exit stairwell. Descend stairs two abreast with arms linked. Be sure to grasp the handrail with your free hand. Use a minimum of conversation to allow authorities and emergency first responders to communicate over you. Use an established evacuation route and meet at the designated assembly area(s). Do not congregate in the building’s entrance. Assign a staff member whose responsibility will be to account for all persons in their designated area. People with disabilities may not be able to evacuate unassisted. As such, they should inform another person that assistance may be necessary during an evacuation. The Buddy System: In the event of an evacuation, the buddy (or identified assistant) will determine the location of the person with a disability, then go outside and inform emergency personnel, who will enter the building and evacuate the person. Horizontal Evacuation: Move away from the area of imminent danger to another area on the same floor, if it is safe to do so. Vertical Evacuation: Stairways can be used by those who are able to evacuate with or without assistance. People with sight disability may require the assistance of a sighted person. Persons who must use crutches or other walking aids will need to use their own discretion, especially where several flights of stairs are concerned. Shelter in Place: If danger is imminent (detectable smoke, fire or unusual odor), remain in a room with an exterior window and a telephone. If possible, close the door. Then call 911. Provide your name, location and the reason you are calling. These guidelines are in compliance with the NFPA 101 Life Safety Code, the Americans with Disabilities Act and American National Standard A117.1. Prior planning and practice of emergency evacuation routes are important in assuring a safe evacuation. Most buildings on campus are equipped with fire alarm horns and strobes that sound the alarm and flash strobe lights. The strobe lights are for people who are hearing impaired. If you see these strobes, use the designated evacuation route to leave the building. Most buildings on campus are equipped with fire alarm horn and strobes that sound the alarm and flash strobe lights. The horn is for sight-impaired persons. Most people with a visual impairment will be familiar with their immediate surroundings and frequently traveled routes. 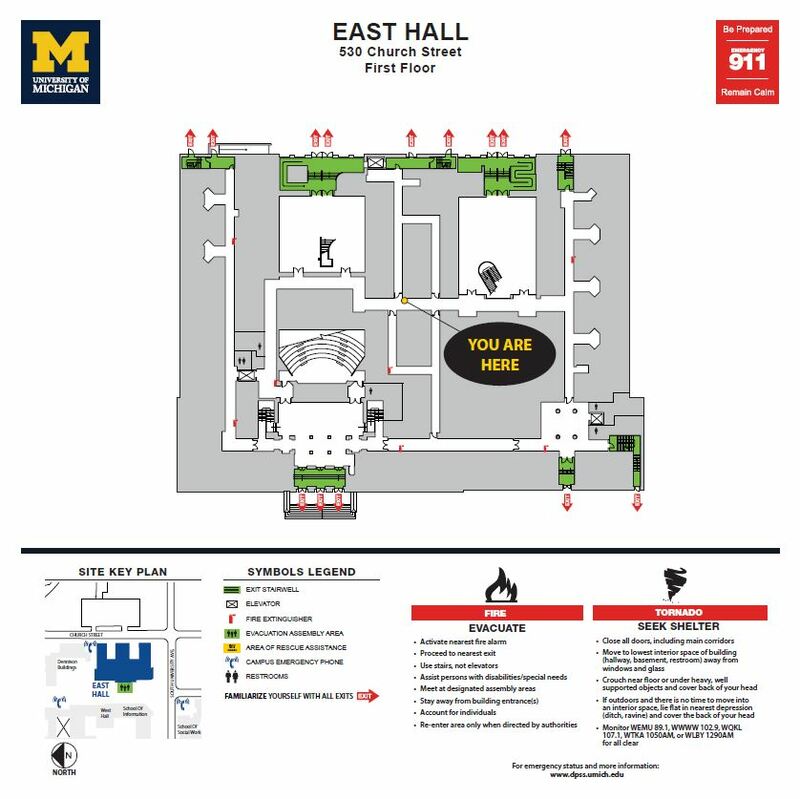 Since the emergency evacuation route is likely different from the commonly traveled route, persons who are visually impaired may need assistance in evacuating. Please refer to the above section (Evacuation options for people with disabilities) for more information.